Gordon A. Gunnell, M.S., and John M. Gottman, Ph.D.
My approach to working with couples is grounded in the research of John M. Gottman, Ph.D., who is America's foremost authority in the observational study of marital relationships. I have completed nearly 60 hours of continuing education with Dr. Gottman and the Gottman Institute in Seattle, in addition to over 300 hours of direct clinical supervision working with couples, and thousands of hours working with couples as a private practitioner. Dr. Gottman has appeared on Oprah and other television and radio interviews, and has written several books based on his 30+ years of research observing and analyzing (with their permission) married couples' interaction. His books include: Why Marriages Succeed or Fail, The Relationship Cure, Raising An Emotionally Intelligent Child, and The Seven Principles for Making Marriage Work. Dr. Gottman has also authored hundreds of articles and book chapters relative to his research with married couples. 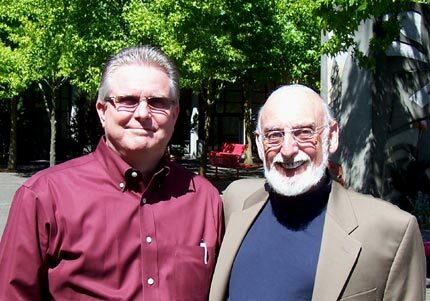 William A. Griffin, Ph.D. and Gordon A. Gunnell, M.S. 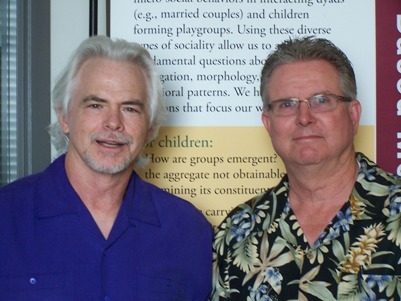 From 1997 to 2002, Dr. William A. Griffin was my primary academic/thesis advisor and clinical supervisor in marriage/couples and family therapy at Arizona State University. In the early 1980's, Dr. Griffin was awarded a post-doctoral fellowship to work and study with Dr. Gottman at the University of Washington in Seattle. 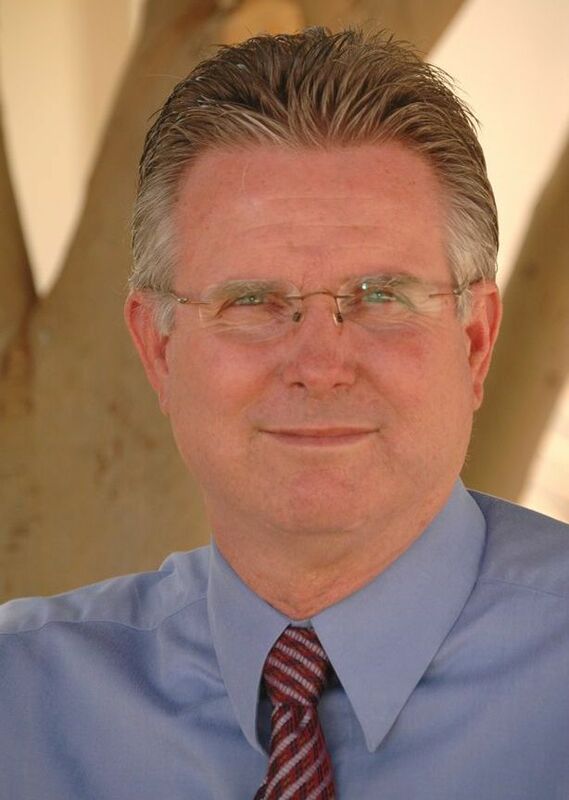 After completing his 3-year fellowship with Dr. Gottman, Dr. Griffin joined the faculty at Arizona State University. There he continued Dr. Gottman's research tradition by founding and directing the Marriage and Family Therapy Program and the Marital Interaction Laboratory. Dr. Griffin has authored two books: Family Therapy: Fundamentals of Theory and Practice and Models of Family Therapy: The Essential Guide. He has also authored scores of academic journal articles. A DIFFERENT WAY TO THINK ABOUT A RELATIONSHIP-- A NEW PERSPECTIVE: Having participated in doing observational research with couples at the university level for 3 years, I discovered that spouses and partners CREATE a relationship together, as opposed to being IN a relationship. The notion of being IN a relationship is often suggestive of not having control of it. On the other hand, knowing and understanding that relationships are CREATED by two people, one interaction at a time, permits spouses/partners to feel a sense of control over the relationship by changing how and what they contribute to the interactions they have with each other. Using this approach, many couples discover that it is not their partner, but the relationship they have with their partner, that is making them unhappy. Getting couples to focus on changing their relationship instead of each other very often results in a desire to change oneself for the good of the relationship. That perspective gets couples "UNSTUCK", and enables them to solve problems together and to become happier and more emotionally connected. Though improved communication helps the relationship improve, improved communication is also a side-effect of having improved the relationship. Put another way: when you communicate better, and if you feel valued, appreciated, and cared for by your spouse/partner, you like your spouse/partner more. And when you like your spouse/partner more, you communicate better and value and appreciate your spouse/partner more. Along with my 41 year marriage and family life experience (6 children and 22 grandchildren), my later life education and training (1995 thru 2002) has significantly influenced my enjoyment of and effectiveness in helping couples experience real and lasting change for the better in their marriages and relationships. I believe that many marriages end in divorce that could be rescued. Of the spouses who divorce, many do so because they have attempted many times to "fix" things themselves, have failed, and have then become increasingly hopeless about change for the better. So divorce is their default choice. Though I readily acknowledge that there are compelling reasons to end a marriage/relationship, deciding what is compelling is a process that each couple must engage and experience, and the responsibility fo the decision to stay together or not belongs to each couple. If you are having difficulty deciding if you want to or should stay married/together, I would appreciate the opportunity to help you identify and explore the sources of your indecisiveness. Marital/couples therapy is a specialized form of therapy. A 1997 study by the American Association of Marriage and Family Therapy found that less than 2 of every 100 private practice therapists in the United States who say they do marital/couples therapy received actual training or supervised experience working with couples, pre or post degree! If a therapist's training is in individual therapy models and techniques, the approach to couple therapy will feel like individual therapy with two people. Only the profession of Marriage and Family Therapy, and the corresponding Marriage and Family Therapy license (LMFT), requires the comprehensive course work and supervised clinical experience to practice marital/couples therapy that is oriented to change the relationship for the better, and reduce the risk of alienating one or both of the spouses/partners in the process. Dr. William Doherty, nationally respected marital researcher and author of "Take Back Your Marriage", "The Intentional Family", "Putting Family First", and others, is also the Clinical Director of the Marriage and Family Therapy program at the University of Minnesota. Dr. Doherty has stated, "Without training, the result [of marital/couples therapy] is often poor therapy for which couples often blame themselves rather than the therapist. Couples are playing Russian roulette with their marriages when they pick up the phone book and call a random therapist." If you are looking for a therapist to help you with your marriage, I encourage you to limit your search to those who are trained, and who can provide you evidence of their training, in couple/marital/conjoint therapy. To educate couples, and help them connect with therapists who are trained and committed to helping rescue their relationships, Dr. Doherty founded the National Registry of Marriage Friendly Therapists. Only therapists who support the goals of the National Registry of Marriage Friendly Therapists, and who have extensive supervised training in working with couples are permitted to be listed on this website. You will find me listed with this highly respected organization.